A committed fiscal conservative like UK Chancellor George Osborne was never going to deviate from Government’s hard-wired policy of austerity. Nobody really expected a change of course in his 2013 Budget, not even after his recent humiliation by Moody’s downgrade of Britain’s triple A credit rating – a humiliation not because of the fundamental impact of the downgrade, which was negligible, but because Osborne himself had placed such high importance on retaining the AAA status. Osborne knows that with the possibility of the UK’s first triple dip recession looming, he needs to do more… much more to instil confidence. There’s no rabbit to be pulled out of his hat, but – on the same day as the UN’s first International Day of Happiness – he managed to squeeze a little love out of the red budget box. The Chancellor has largely ignored calls for more gung-ho action, like taking advantage of low interest rates to borrow more and to bolster the economy with higher public spending – classic Keynesian stimulus. 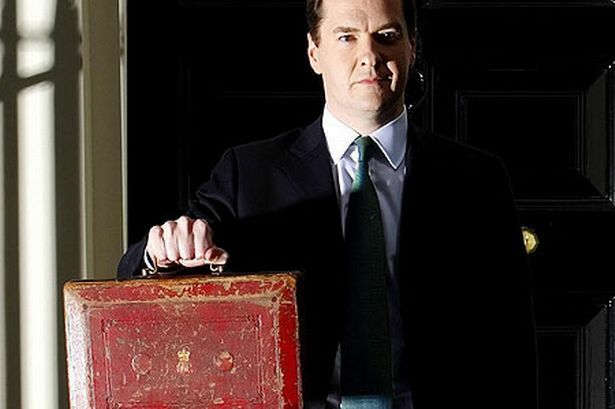 Instead he has introduced a healthy dollop of tax relief, like for the manufacture of ultra low emission vehicles. He is also using tax incentives to encourage more investment into shale gas extraction (George, let’s ignore this fracking boo-boo for now but it may come back to haunt you). For people struggling to pay their bills, they want to see how the tax breaks convert directly into greater prosperity for them, and frontline civil society organisations want to know if they’ll get more of the funding they need. ‘Yes’ and ‘yes’ is the answer… but not how they may have wished. Osborne wants more of us to own some of the company we work for – like the model that underpins the John Lewis Partnership – so that we can benefit from the wealth and prosperity it creates. He knows too that if we’re more motivated to make the company a success, then that is also good for the economy. According to Osborne “employee ownership helps create an enterprise culture” and he has promised to encourage this with greater income tax relief and the easing of National Insurance Contributions (NICs) as well as introducing capital gains tax relief for the sales of businesses to their employees. The Chancellor is also introducing an Employment Allowance that will take £2,000 off the NICs bill of every employer – including charities and community sports clubs. Having run my own small business before, I know that this incentive will be welcomed by employers thinking about hiring their first staff, or alternatively it could be the difference between having to lay off someone or not. The most exciting part of the speech for me, but with the least amount of clarifying detail, is the Chancellors commitment to introducing a new tax relief to encourage private investment in social enterprises – i.e. social investment. We wait to see what this will bring. With rumours afoot that Prime Minister Cameron would like to use the UK’s presidency of the G8 this year to promote social investment, let’s hope it’s not too long before we find out how he plans to put Osborne’s flirtations into action. Of course I am happy to advise the Chancellor on how he can do better next time, but for now I commend him on making good progress in the right direction. Finally, if you do find reason celebrate, do it responsibly – the cancellation of the 3p rise in beer duty tax may sound tempting, but if you own part of the company you work for, then being hung-over tomorrow means you’ll soon feel the lost productivity in your pay cheque! This entry was posted in General Commentary and tagged budget, Cameron, George Osborne, impact investing, impact investment, social economy, social enterprise, social investing, social investment, UK. Bookmark the permalink.